Gentlemandroid: Celestial Bodies Lite Live Wallpaper released! For those that found the sum of 99 pence simply too steep a summit to surmount fear not! The lite version of Celestial Bodies is now available in the Android Market. Rest easy knowing your dollars are safely tucked away in your wallet and out of reach of gentlemandroid's cold steel hands! Should you decide to take the plunge you will be rewarded with not only many exciting new features but also the comforting knowledge that you kept Mr. Vanderbot and I off the streets and out of the spanging racket for another day. Won't that feel warm! Hey Josh. I really want to try/buy your wallpaper, but for the life of me I can't find it on the Market. I have a Samsung Vibrant (Galaxy S) phone running 2.1 so it does support live WP. Can you think of any reason why your app isn't available? Hmm, it should as far as I know. 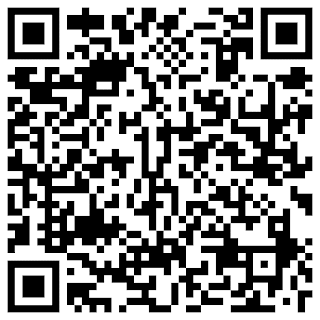 Did you try the QR code in this post? If you weren't aware you can use Google Goggles (a free app available in the Market) to take a picture of that weird black and white image on your monitor. It should then come up at the top of the search. You should also be able to just click that image while browsing this site on your phone. It has a link directly to the market page. I'm having the same problem... it seems to be a galaxy s issue with the market. I have the captivate, but I've read that other galaxy s users are dealing with the same problem... with this and some other apps on the market. Too bad, looks like an amazing app. I just tried again and same result. My daughters have Vibrants as well and none of us can find it. As Mike said, I've also seen this with a few other apps. Unfortunately it doesn't sound as though there is much I can do on my end. However I will think about posting an alternative link to the lite version. Perhaps a Rapidshare download or something. I would like that. I'd be happy to paypal you for the full version as well. Install the appbrain app, and the fast web installer app. Follow the instructions on the fast web installer app and you'll be able to download celestial bodies directly from appbrain's website right on your phone... it worked for me without a hitch. Good luck. Really nice app by the way... many thanks! Sorry, i should also add that this only worked with the lite version... though I wish I could purchase the full version. That worked for the free version at least! Thanks Mike! I really like this one. Now if Google will get off their haunches and fix the problem. Ah thank you very much malmatra. That was helpful. Sorry about the trouble Kyler and thanks for the maintained interest!